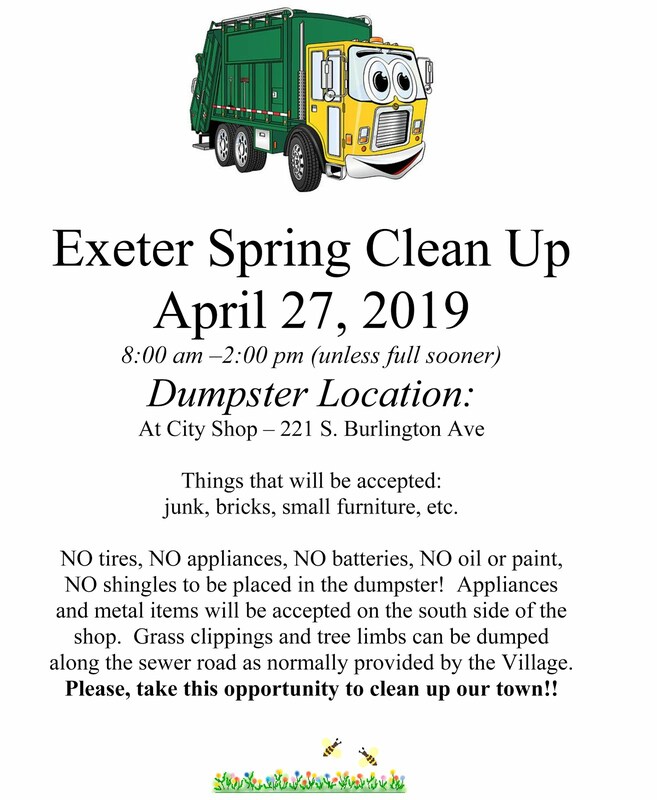 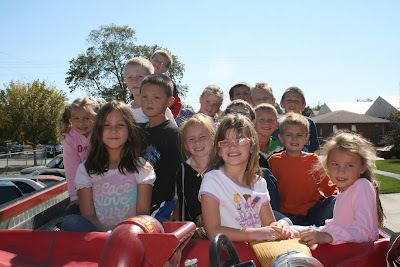 Exeter-Milligan second graders posed for a picture on top of the Exeter Volunteer Fire Department truck before enjoying a ride around downtown Exeter. 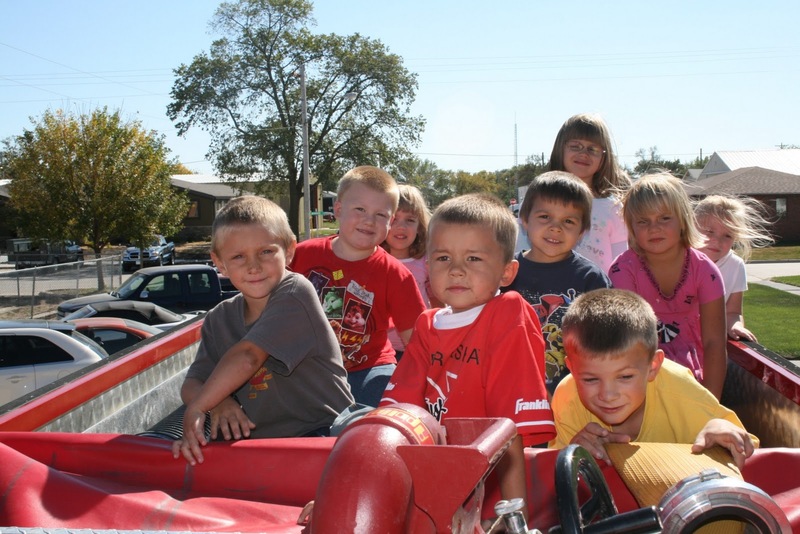 Exeter-Milligan second graders along with their teacher, Mrs. Marla Weber, lined up ready to load onto the top the Exeter Volunteer Fire Department truck. 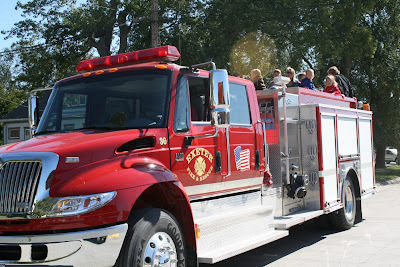 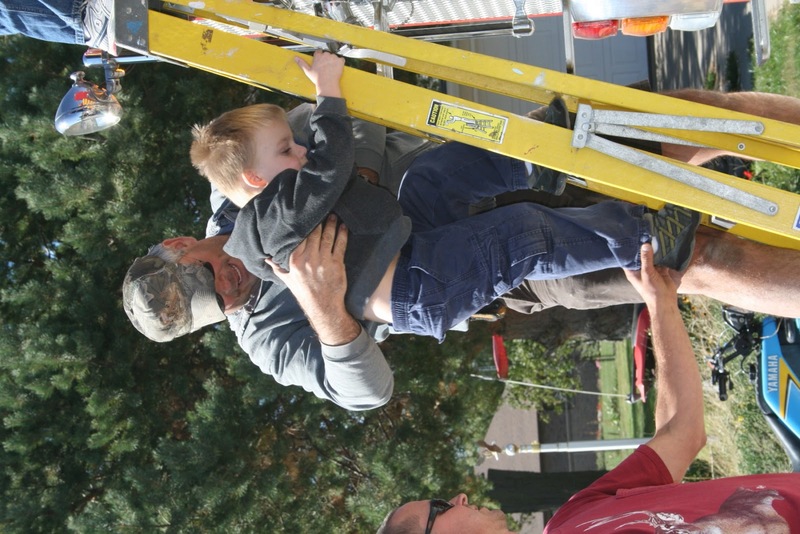 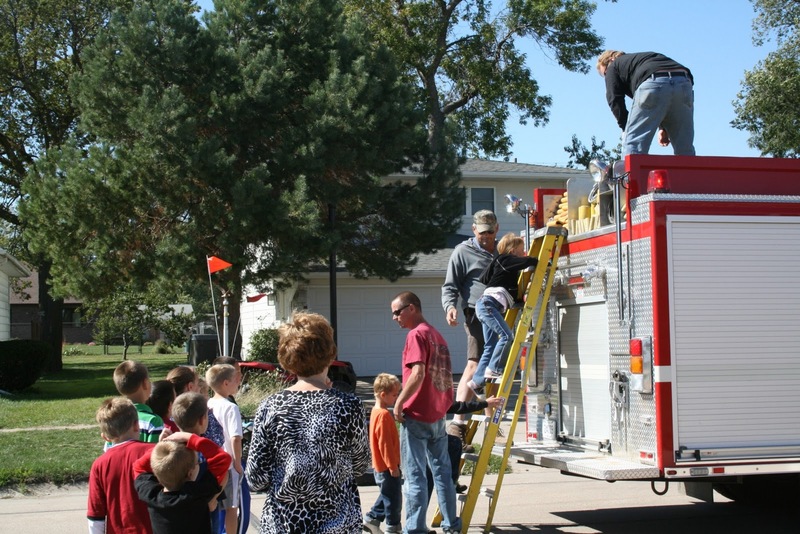 The Exeter-Milligan Kindergarteners enjoyed riding on top of the Exeter Volunteer Fire Department truck on Monday to help them learn more about Fire Safety Month. 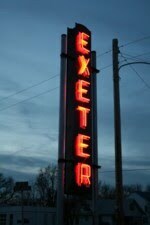 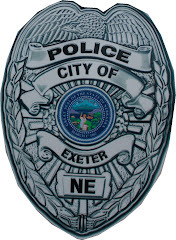 The Exeter Preschool students enjoyed a ride around downtown Exeter on Monday in honor of Fire Safety Month. 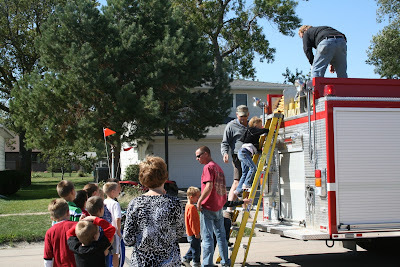 They also received play fire hats and goodies from the department.